Your post production workflow – the steps you take after uploading your photos to your computer – is always a topic that is worth reviewing from time to time. As the technology, software, and your knowledge change, you will probably find that your workflow also evolves. A few weeks ago, I posted an article that described how and why I retired from active service the Photoshop Elements Catalog I have been using for well over ten ears. To se that article, CLICK HERE. In this post, I describe what the basic steps are after I have uploaded my images to Photoshop Elements 13. Yes, I still use PSE 13 for managing my 50K images. Since I teach beginning Lightroom classes, I have been exploring it more thoroughly as of late. 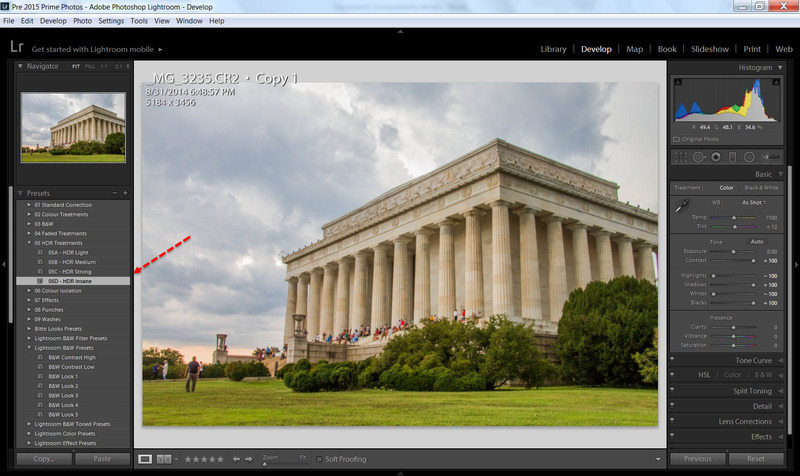 In fact I even “upgraded” (Adobe’s term, not mine) my prime photos catalog to LR5. I have a few initial thoughts on the success of this, but that is the subject of another article. Here is my current workflow that uses both the PSE 13 Organizer and its Photo Editor, with Photoshop CC added to the mix when needed. 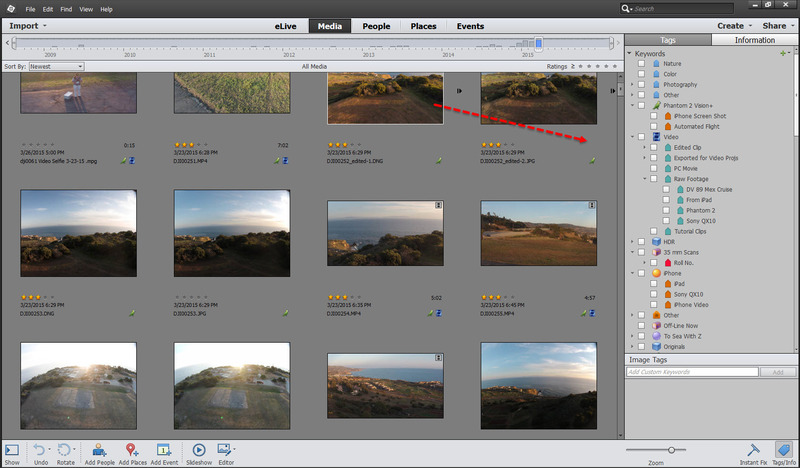 The description begins as soon as the photos and videos have been imported to the PSE 13 Organizer. 1. The first thing I do is tag my photos. If the subject matter is pretty fixed, this step takes only seconds. For example, on a typical weekend of watching my granddaughters’ softball and soccer games, I may find that come Sunday evening I have 500 images and several videos on my memory card. I already have the tag structure and tags defined. It’s just a matter of selecting the right images and dragging them over to the appropriate tags. and then come back later to sub-divide them into Sub-Categories, and Keyword Tags. B. Since PSE 11, I have made use of the Events, People, and to a lesser extent Places tags. 2. I next screen the images using the Full Screen View option (F11) in the Organizer. I will also make use of the side-by-side display option (F12) as needed. 2 = Needs work, provides a good class example, or is member of a burst, HDR, or panorama sequence. 3 = Will most likely be included in a slide show, or DVD I plan to make at some point. Often these are not the best photos in the world from a technical standpoint, but are needed to better tell the story. I will also give the best photo of a sequence 3 stars. 4 = These are pretty good for me, and probably are the ones that I will most likely end up printing. After Step 2, I still have many images that have not been rated. They will remain in my Catalog. 3. 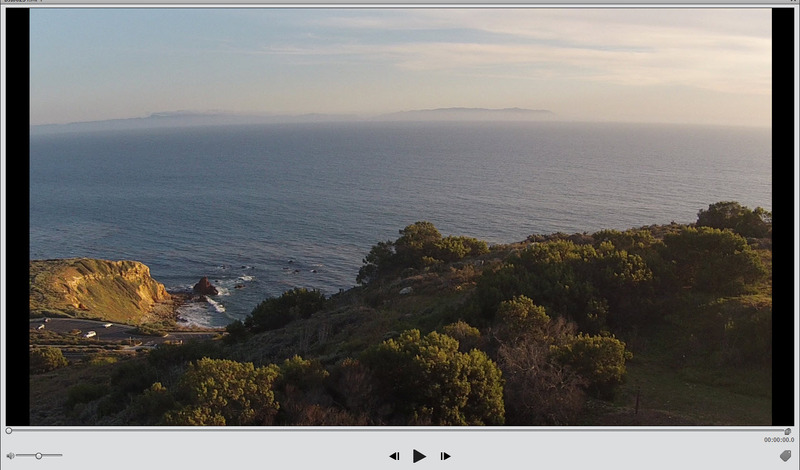 I now screen the video clips that were uploaded in the grid view. I double-click on the video file and play the video in the enlarged window that appears, rather than in the full screen mode. 4. More recently, if I have essentially completed the keyword tagging of my images, I will write them and other metadata to the image files – File > Save Metadata to Files. If I do not do this, only those images that I have at least opened in the Editor will have the tagging and other metadata written to the file itself. 5. I then delete all of the 1 star images/videos from the Catalog, as well as the hard drive. Typically from a weekend of shooting soccer and softball games, I’ll end up with in the order of a couple of hundred images. This is far too many, and I’m working on raising my standards. The percentage of keepers is roughly the same when the images are of general subjects, such as scenery. 6. Next comes editing those photos and videos that are either in a sequence (2 Stars) and those that have 3 or 4 Stars. A. Since I almost Always shoot RAW, I will naturally do my initial editing using the ACR. B. Normally, that is all the editing I need to do. I fact, that is my goal, for individual photos. C. If I can do that, I do not need to save an edited version. My changes are recorded in a small .xmp file. 7. 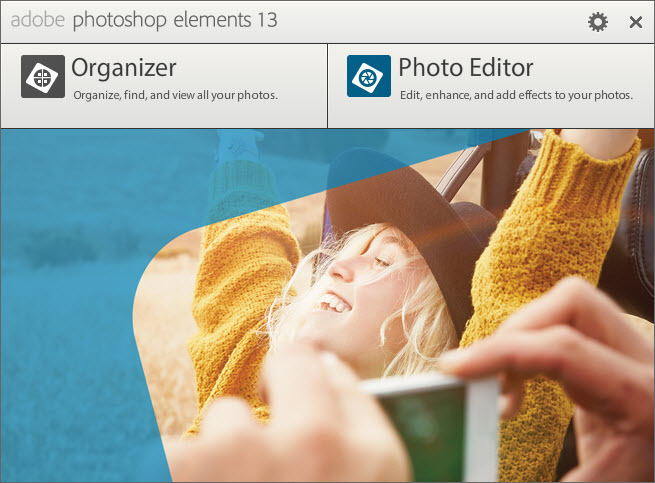 To print the photo or make editing changes requiring, for example selections or layers, I will open the image in Elements’ Photo Editor. Alternately, I will on occasion, send the RAW image directly to Photoshop’s ACR to take advantage of its added tools and/or Photoshop itself. However, this will require that a dupe (actually a Version Set) of the RAW file to be generated, which will take up additional disk drive space. 8. The final step of my basic workflow is to periodically do either a Full Backup or Incremental Backup of my Catalog and all of the media it contains (File > Backup Catalog). This pretty much summarizes my basic workflow. Somewhere between Steps 7 and 8, I put together my photo projects, whatever they may be. I would love to hear your thoughts and workflow steps that you use or in PSE or other programs. 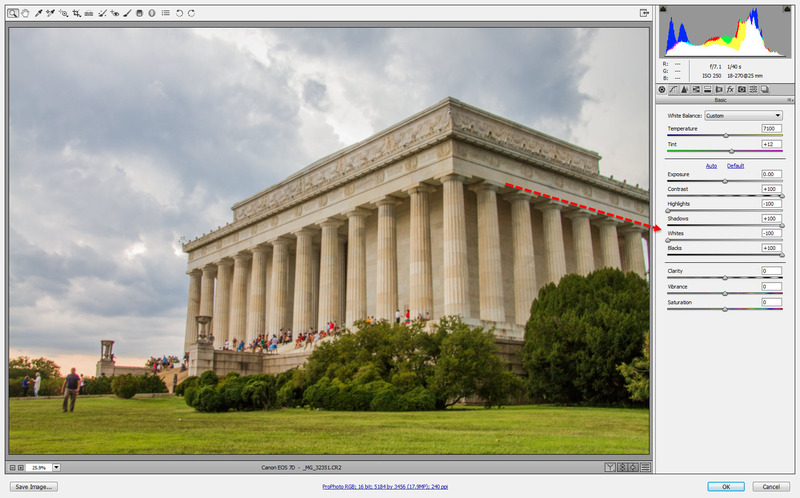 As part of the recent Lightroom class I recently taught, we covered using the Develop module presets that came with Lightroom 5, and couple of the hundreds of Lightroom presets that are available online, many for free. I have found several that I like to use, at least for starting points for my own photo editing. However, I use Photoshop and Photoshop Elements more than Lightroom, so I would like to easily convert a Lightroom preset into an Adobe Camera Raw (ACR) preset that I could use in Photoshop. In a video from www.photoshopcafe.com, Colin Smith describes how to do this. Here are the basic steps. 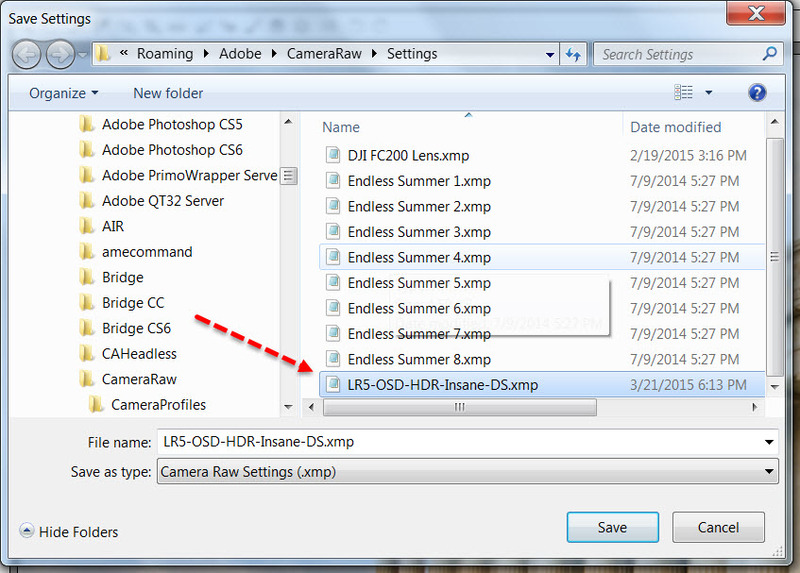 Open a photo in the Lightroom Develop module. 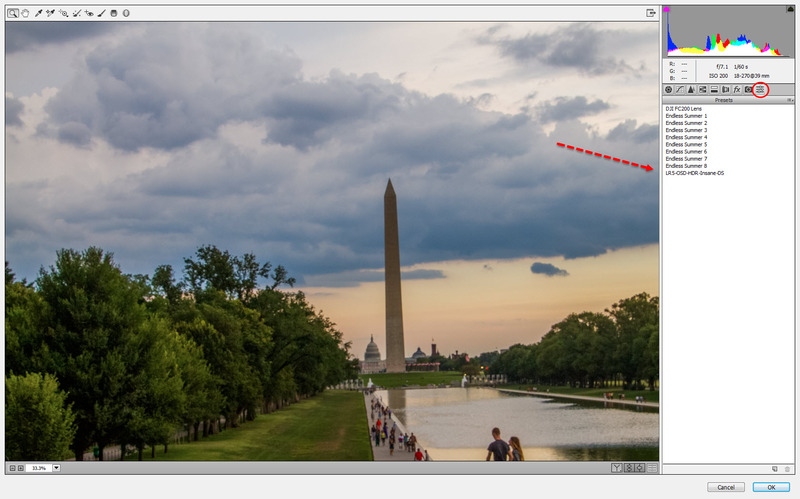 Open the image in Photoshop as a Smart Object, via Photo > Edit In > Open as a Smart Object in Photoshop. 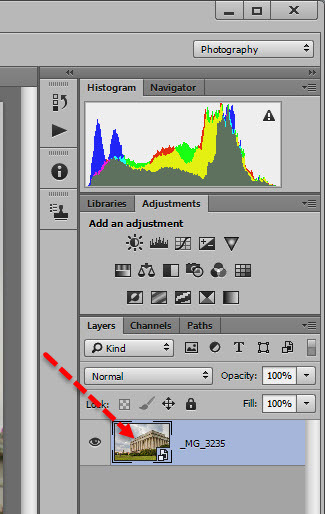 In Photoshop, double click on the Smart Object icon in the Layers pallet. This opens the photo in the ACR, where you can see the positions of the sliders that were applied in the preset. Now click on the small parallel lines icon to the right of Basic in the ACR, and select Save Settings. Name the preset setting as desired. 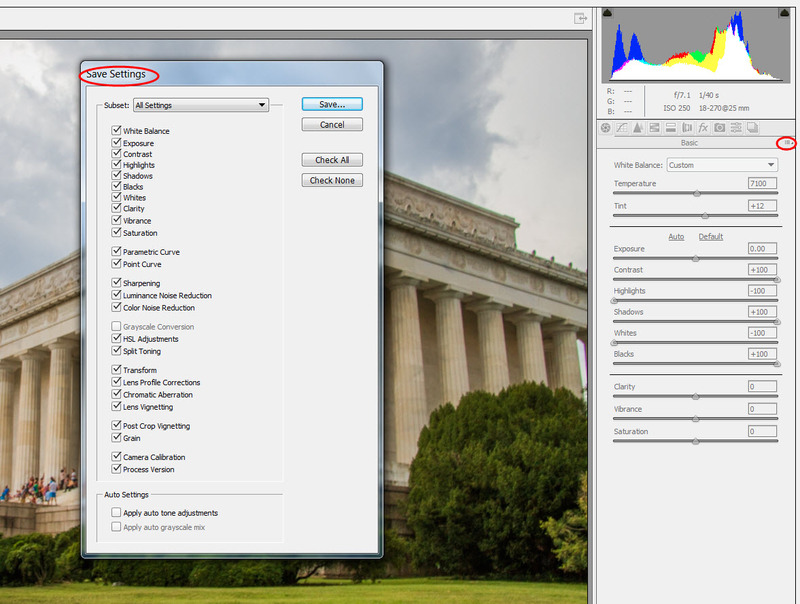 Now when you open an image in ACR that you would like to apply the preset to, click on the Presets icon, and select that preset to apply it. The preset effect will vary from photo to photo, but at least it gets you in the ball park for the look you wanted. You can tweak the sliders from that point. True, you need both Lightroom and Photoshop to do the above, so why would you bother with the conversion? Personally, I like using ACR better than the Develop module of Lightroom for most things. Maybe you do too? Let me know what you think of this technique, Ok? A few weeks ago I wrote that PVNET had acquired the complete Adobe Creative Cloud suite. This includes Photoshop CC (2014) and Lightroom 5. I will be teaching two Photoshop CC classes, Level 1 and Level 2 beginning April 3rd. To find out more about the classes, and how to register for them, CLICK HERE. Remember, you can get a subscription for Photoshop CC and Lightroom 5 for $10 a month from Adobe. Your subscription allows you to install both programs on two separate machines. 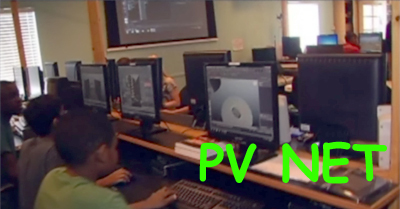 Currently, PVNET is the only adult oriented educational facility that has Photoshop CC on their computers. However, you need to register early, because each of the two classes can only accommodate eleven students.